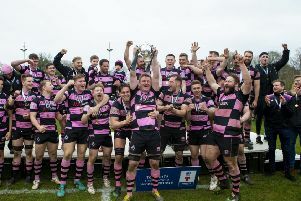 Accies turned on the style in the second half as Watsonians ran out of ideas and steam in a tournament from which three sides pulled out due to league and cup commitments. Accies led 14-10 at the break with tries by Ruari Campbell and Max Love, both converted by Richard Mill, to tries by Lewis Berg and Scott McKean, but Accies’ ball retention and extra pace told in the second half and a further score by Mill, who added the conversion, sealed a successful day. Accies had earlier accounted for Gala, Edinburgh University and Boroughmuir, while Watsonians saw off the challenge of a President’s VII select side, Hawick and St Andrews University. The win over Boroughmuir, who had earlier knocked out Kings of the Sevens holders Melrose in the pool stages, set up an absorbing final, but Accies proved that they will be an asset on the sevens circuit. Watsonians were made to fight hard against debutants St Andrews University, the surprise team of the day, in the first semi-final and led by only a Chris Scott try at the interval. Scores after the break by Lee Miller, Berg and Chris Bell sealed the win.